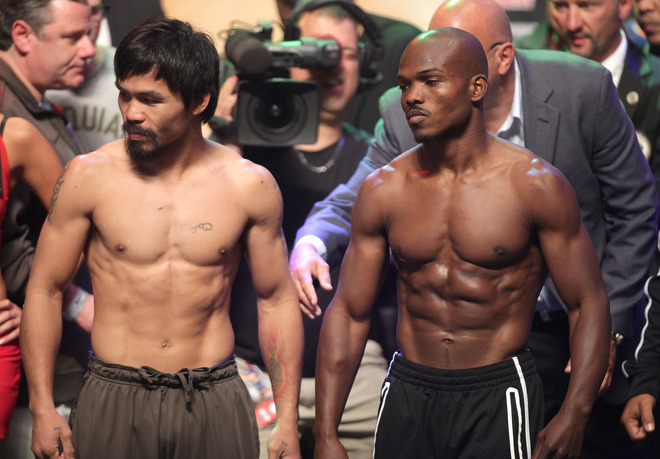 Bradley and “Pac Man” have history, check out TB’s breakdown of Manny Pacquiao vs Chris Algieri…. Manny Pacquiao vs Chris Algieri will go down this Saturday (November 22nd, 2014) in Macau, China. On the line is Pacquiao’s WBO welterweight title, but also his desire to fight on is in question. The discussion is really focused around what Algieri has to do to overcome the speed of “Pac Man”, and also the effect that the 2012 knockout loss has had on Pacquiao. In what is essentially a battle between ageing legend and young lion, who will emerge victorious in Macau, China? Will Pacquiao’s speed, even at this stage, be too much for “The King Of New York”?